This post was updated on January 24, 2017. The South Burlington City Council voted 3-2 Monday to pass a resolution intended to raise strong concerns about the continued purchase and demolition of homes near Burlington International Airport under a federal noise-mitigation program. Councilors Meaghan Emery, Tim Barritt and council chair Helen Riehle voted for the resolution. Councilors Tom Chittenden and Pat Nowak voted against it, saying they feared it could jeopardize or slow home sales for property owners who are eager to sell under the Federal Aviation Administration program. But Emery countered that the demolitions are unwarranted, based on outdated noise studies and threaten the affordable housing stock in the city's Chamberlin neighborhood. The resolution was "a really important undertaking that this council will be remembered for and I am grateful to be a part of that," said Emery, who proposed it. "And I think we are doing right by the City of South Burlington." The testy meeting was four hours long. "It wasn't just the homeowners that got emotional; it was council members as well," Riehle said to the crowd after the vote. "And these are tough things to pass as a council because of that emotion." 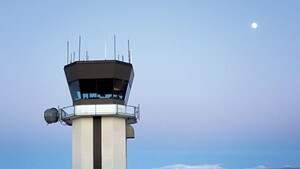 The resolution asks the FAA to undertake a new noise study and meet with the council by February 7 to discuss the purchase of the homes, the land acquisition program and other matters. 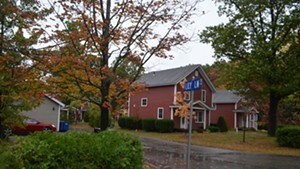 The resolution was triggered by the surprise announcement in September that Burlington International Airport would seek to purchase and remove an additional 39 homes, not long after completing the demolition of 100 homes in the same neighborhood. 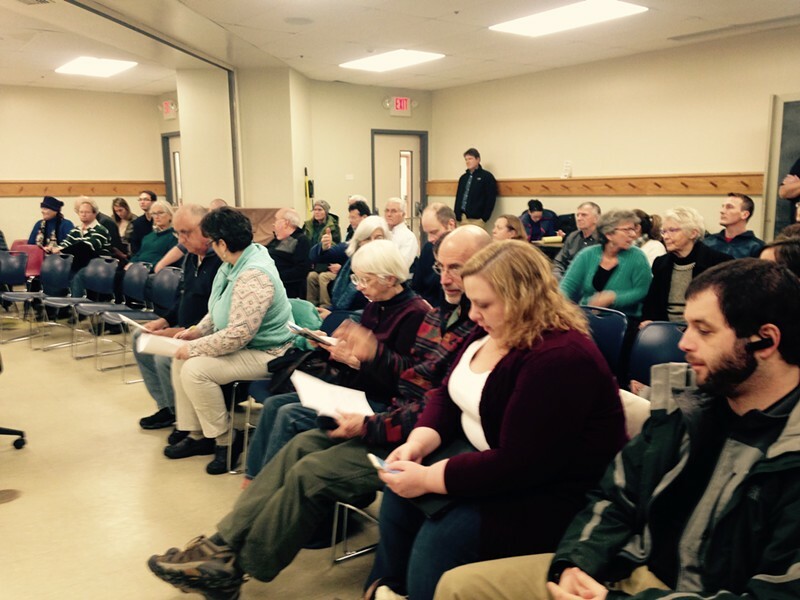 More than fifty people attended the meeting. During it, council members disagreed sharply and quoted both the U.S. Constitution and the Bible to defend their points of view. Emery, while pushing for the resolution, met strong resistance from fellow councilor Nowak and the two had numerous heated exchanges. Nowak also clashed with fellow councilor Barritt. At one point Nowak exclaimed to Barritt: "I've taken snowballs all night; be nice." Just as the council was divided about the resolution, so was the crowd. "Please try to protect us from the predator that the airport has become," said Carmine Sargent, who has lived on Elizabeth Street in the Chamberlin neighborhood for 45 years and opposes the continued buyouts and demolitions. She expressed support for the resolution and suggested Nowak was not doing enough for city residents in her role as an airport commissioner. "Pat, excuse me, it's like you want to be queen of the world," Sargent said, adding: "You are not necessarily advocating for the people in the neighborhood." Others, though, said Nowak's concerns about the resolution were well-grounded and thanked her for raising them and for serving on the airport commission. Some critics of the resolution also made it clear that they saw it as something that could reduce their potential to sell their homes in the future. "This is voluntary. We should have that right to sell," said Jason Tucker, of the buyouts. He lives on Kirby Road with his mother and daughter. He asked the council to reconsider the resolution. With noisy planes and helicopters often flying overhead, his family's home has little value, he said. The family is hoping someday to sell to the airport, Tucker told the council. "That house is my mother's future. It's a piece of crap. If we don't sell to the airport, who's going to buy it?" The meeting also turned into a debate about when Nowak knew the latest round of buyouts would occur, with South Burlington lawyer James Leas reading from airport commission minutes from last May and suggesting that Nowak was aware more buyouts were coming. Nowak said Leas was confusing the facts, and that the minutes were referring to grants connected with the previous buyouts. But the questions persisted and Emery accused Nowak of not reporting information back to the council when she should have. The council discussed but did not take action on a proposal to repeal affordable housing covenants on three properties slated for purchase under the airport program; the sales could be held up if they are not removed. The council agreed to meet January 30 on that question. The resolution, meanwhile, might not have much influence over the FAA, based on a letter a regional administrator sent to South Burlington city manager Kevin Dorn earlier Monday — before the council met, and in response to a letter from Dorn. In the letter, regional administrator Amy Corbett declined to conduct a new noise study on the F-35 jets before their expected arrival in 2019 or 2020 as replacements to the older F-16s now based at the Vermont Air Guard. Corbett also rejected the idea that noise would decline in either the short term or long term at the airport. City councilors had argued that could justify new noise-modeling studies and possibly a reduction in the buyout program. "From our review of the data provided by the Department of Defense, it appears the F-35 deployment will increase noise in the local community. This data indicates that the F-35 noise signature is louder than the F-16," Corbett wrote, and went on to say that the number of homes experiencing high noise levels will increase by "several hundred." 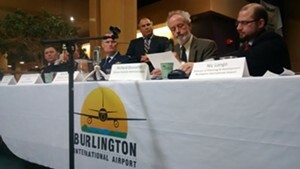 Corbett did indicate a willingness to meet with South Burlington officials and honor their request for a "seat at the table" when decisions on noise are made at the airport.